AS A HOMEOPATH AND ASTROLOGER I see a lot of Indigo Children that are brought to me, not because they are Indigo, but because of physical or behavioral problems. Since most of the parents I meet have not heard of Indigo Children I will describe the generally accepted principles for identifying Indigos, as well as how to recognize and identify them from their Birth charts. The first Indigo that I met in my practice, was a nine-year-old boy who came to see me in 2002. His Mum brought him along, partly because she was having difficulty with the various labels her child had been given, but also because he was suffering from sleeplessness, was argumentative, aggressive and ‘angry with the world’. On further questioning it transpired that a younger brother had been born blind with part of his brain missing. He also had terrible acid reflux and was awake for 20 hours in every 24. Sadly, this little boy didn’t live long and eventually died. My patient, though, had shown a natural affinity for his suffering and used to touch his head before communicating with his brother, even though no-one had told him to do this. His mother said her nine-year old had had an ‘understanding’ of his brother’s needs. Without revealing too many details of this boy’s case, I prescribed a remedy and arranged to see him again in a month’s time. I met the boy’s mother a while later at the school and she told me how, a few days after taking the remedy, he had been at his grandmother’s and had fallen asleep on the sofa. Because he was so quiet and seemed so ‘dead to the world’, Nan had got worried that he’d actually died... Apparently, he had never done anything like this before, but I knew this meant the remedy was starting to heal him. As this boy had been brought to me for Homeopathic treatment, I didn’t automatically draw up his Birth-chart, but after his second follow-up appointment something made me ask his birth-time and I looked at his chart. During this particular month, I visited a Healing Fair in Bath where I live and was drawn to buy a book called The Indigo Children by Lee Carroll and Jan Tober. The book came home with me, and stayed there. I now don’t lend it out, I advise people to buy their own copy! The book described so accurately this particular boy and his problems, that I then bought The Care and Feeding of Indigo Children by Doreen Virtue, so I could offer his Mum some hope and explain that this boy isn’t a challenge, the system looking after him is... Then I compared his chart to others in my collection and noticed a striking similarity with certain children’s charts I had treated recently and some I had treated quite a few years before. Then another boy from the first boy’s class was brought to me and his chart had the same configuration, as did my son’s, who is also in the same class. In fact, over ten children in this grade all had similar charts. This set me on a mission that still intrigues me to this day. Creative, with an artistic flair for music, jewellery making, poetry etc. I then contacted Sarah Wood, the President of The Indigo Network to see if this was just a local phenomena or whether it was worldwide? Sarah advised me to post my questions on her website so that people could reply to me. They have been sending me their Birth-data for over a year now and I was not surprised to see that every person who knew they were an Indigo, had this same planetary shape to their chart. So what planetary patterns were happening while these Indigos were being born? I took my computer on a lengthy journey from 1977-1998 and discovered the following. As you will notice, all the signs follow each other. This was when the first Indigos began to be born. These are the early Indigos and the heavy planets are close, but in separate signs. By 1981 the first conjunction occurs, with Saturn, Pluto and Jupiter in Libra. By 1983 Jupiter has caught up with Uranus in Sagittarius. In 1989 Uranus, Saturn and Neptune are all in the signs of Capricorn. Now - what if you were born at this time and all your personal planets were in these same signs? What would make you different (or the same) as others? First of all, you would be very focused in certain areas. You’d know how to operate the Play-station, but you might have problems tying your shoelaces or remembering to wipe your feet... 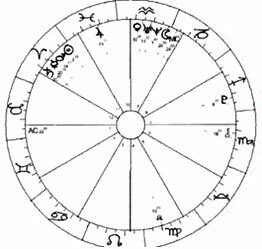 Your chart shape would be called a ‘Bundle’, or a ‘Bowl’, and you would have interests that would definitely need to be expressed otherwise problems would occur. In my practice I have noticed that Indigo Children have birth charts that are rather unique. All their planets are located on one side of the chart, i.e. six houses or less (out of twelve) are occupied and six (or more) are empty, meaning that their energies are strong in certain areas, and non-existent in others. In ‘The Bowl’ shape, all the planets are concentrated within one half of the chart. 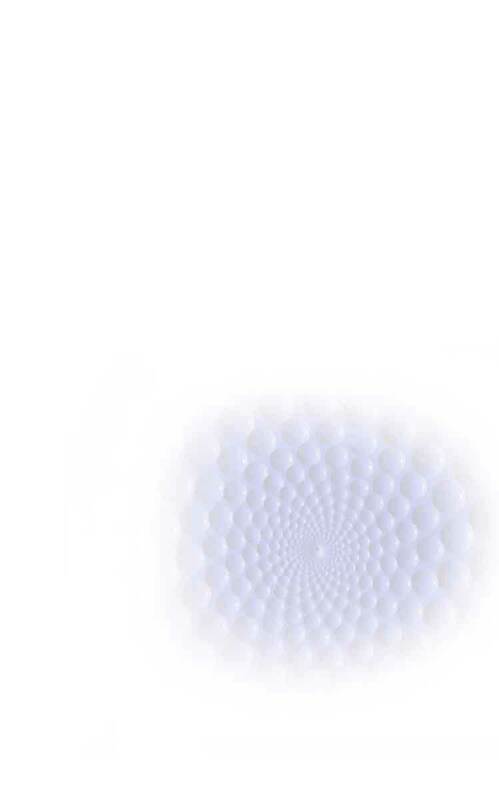 Reflecting the shape of this pattern, ‘Bowl’ types are said to be immensely self-contained and resourceful, but they also tend to be ‘one-sided’, so their life’s challenge is to integrate the empty half of the chart. The ‘Bundle’ shape is rare, and reflects a narrowness of vision and experience. ‘Bundle’ types tend to channel their energies into issues related to the occupied section at the expense of the rest of their chart. This shape describes the specialist in his or her field, or, negatively, the obsessive personality. And because a ‘Bundle’ chart has no oppositions, the person whose chart it is, will have more difficulty seeing things from others’ perspectives, unless those ‘other’s’ are fellow Indigos. A ‘Bundle’, or ‘Cluster’,’ is not an especially rare shape; 30% of my clients have this configuration. 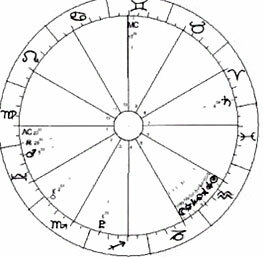 What is rare, however, is having Neptune and Uranus conjunct (in the same sign). This only ever happens in the sign of Capricorn and last happened in 1827 (before that in 1657) and will next occur in 2157. 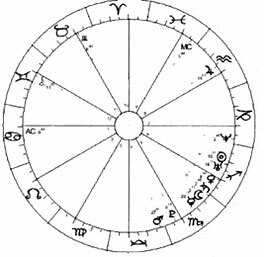 From 1978-1989 the bundle of planets stayed together, various outer planets moved a little and at certain times of each year, personal planets clustered with the biggies. So, what does a cluster feel like? And what do cluster charts have that Splays or Grand Trines do not? From my observations, clusters have an intensity as well as a complete and natural understanding of their peer group and their generation. We all know what it feels like to be out on a limb and not recognized by others. The child born at the wrong time, in the wrong place, and the wrong era really. Well, Indigos don’t suffer that. They were born in exactly the right year/month/day location. We all choose our parents in the planning stage before we were born (see Judy Hall’s Hands Across Time), and maybe Indigos are a little more astute at doing this. Now let’s look at some charts of Indigos that I have treated. To accurately display the full implications of an Indigo Chart, you need to use Equal-House System. Here we have the typical one-sided chart. 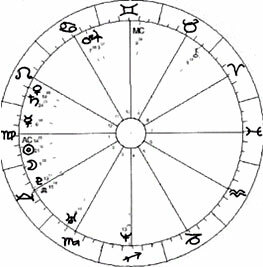 All the planets are below the horizon, indicating someone who understands themselves well, but isn’t so good at socializing and mixing with others. Take Chiron out of the picture for the minute, because for this analysis I won’t be using him to determine if the child is Indigo. 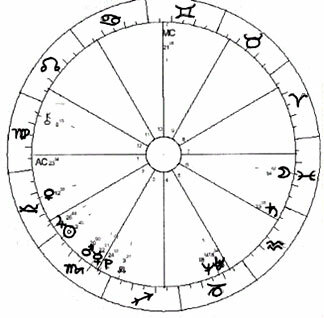 (however it’s useful to keep Chiron in mind as the point of healing) All the planets are in five houses. Neptune and Uranus are conjunct in Capricorn, and there are no oppositions. Because all the planets in an Indigo Chart are so near together, you have to look to see which planet is nearest the Sun, as this will be the one that has the most influence. In this chart, Jupiter is on one side of the Sun and Mars is on the other, making a child who is expansive on one hand, and a little fearless/aggressive on the other... but he has Moon in Pisces, which makes him emotional, empathetic and sensitive. Plus, he’s a Scorpio, so don’t try telling him what to do. What a combination! This child also has two planets in the 4th house, making him unsettled at home and dreamy. Because Mars is so near the Sun this child would do best at physical, active, sporty pursuits, rather than at totally desk-bound activities. And, with Venus on the Ascendant, he has charm! Next we have the chart of a young lady who contacted me via the Indigo website. As you can see she, too, is very clustered with all her planets squashed into three houses with only Jupiter on his own. This child was brought to me with eczema and her mother had a whole host of problems when we started treatment. As you can see , she has seven planets in the 5th house, Mars on the Ascendant, Saturn in the 7th and Pluto in the 3rd. This young lady needed to be guided, not instructed. In fact, even when she was in nursery school, she was telling the other kids what to do! This boy has all his planets above the horizon, with Uranus conjunct Neptune and, again, Mars and Jupiter positioned either side of his Sun. So, if you possess the twelve characteristics that Doreen Virtue lists and a Bundle or Cluster chart, then in my humble opinion, you are an Indigo. Now, what makes living with/teaching/parenting an Indigo difficult is their concentration of energies in one place. So my advice is, provide them with an outlet for them. Look at Flower Essences or Homeopathy. Let them take exercise, eat well, play, mix with friends, write poetry, play music, create. To get the best from a child with a cluster chart shape, allow them autonomy. They’re wiser than you anyway, so you might as well let them make some decisions themselves. Allow them to choose certain actions in their lives and to be guided by their own feelings. After all, none of these children that were brought to me ever suffered from a lack of self-esteem. On the contrary, it’s generally been the other way around, with them being almost too confident and too self-assured.